Sharing is caring, especially in online marketing. When customers are introduced to a brand or product because a peer shared their content, they are five times more likely to convert into a customer themselves, and 56% of consumers say that seeing a branded post from a friend impacts their decision to purchase. As great as this sounds, getting your customers to share your branded content is much easier said than done. These days, people really care about brands and the message their content conveys. They won’t click share for just anything, so it is up to marketers to find meaningful reasons to encourage them to do so. Here are three data-driven ways to increase social shares, grow your brand’s reach, and boost conversions through simple content tweaks. With all the millions of pieces of content floating around on the web, and the thousands of advertisements consumers are exposed to daily, customer trust in brands has really diminished over the years. According to Edelman’s trust barometer, consumer trust is at a record low, especially in businesses and the media. Building consumer trust is essential for conversions and loyalty, so your content must be able to convince people that your brand is trustworthy. One of the absolute best strategies to do so is by focusing on authenticity. 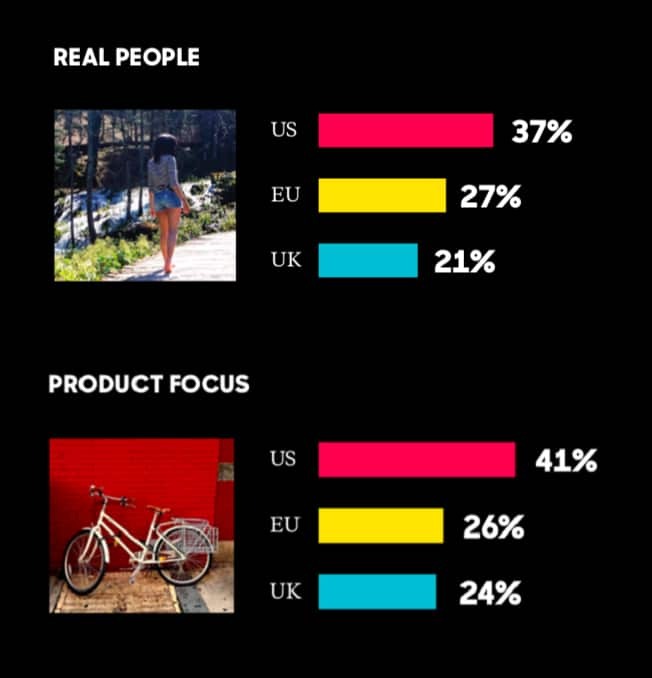 According to consumers, an authentic brand is nearly equally focused on the product and the people who use it. This is why user-generated content works so well; it showcases real people using the product. The sense of realism is much easier for people to connect with. And, apart from the increase in customer trust, integrating UGC into your marketing strategy will bring about better results. In fact, advertisements that use UGC average four times higher click rates, and it increases the likelihood of conversions by 500%. But how exactly can you turn your customers into content generating advocates for your marketing strategies? First of all, encourage customer testimonials, especially on social media. 75% of social media users report that they would be likely to share a positive interaction with a brand through this medium. You can encourage the spread of positivity by including embedded social links in email messages and even on checkout pages to make it easier for people to share. 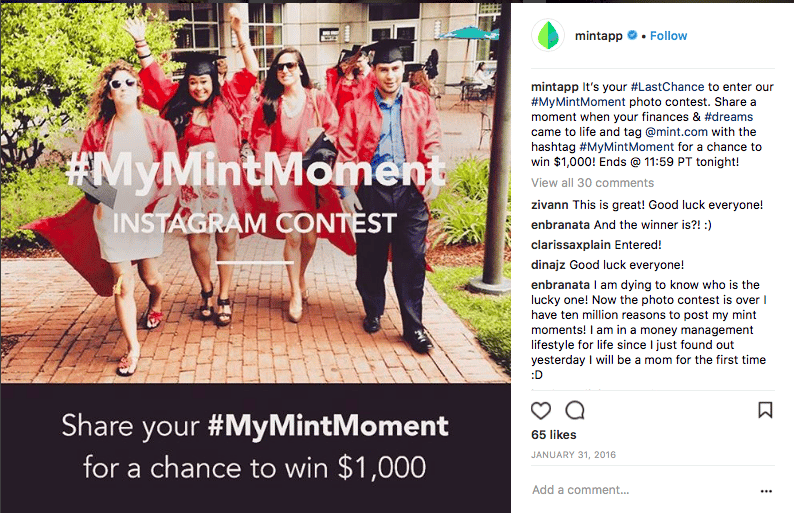 Another idea to get UGC flowing is to tell your audience the exact type of content you are looking for by cleverly disguising it through a giveaway. Ask your followers to post a picture of themselves using the product along with a branded hashtag for an entry, and voilà. Before you know it, you’ve got yourself an entire library of authentic content that can be used for later posts. By using genuine and original content over heavily designed brand content, your customers will be far more likely to engage, share, and convert. Edelman’s report found that employees are often viewed as significantly more trustworthy than business leaders, especially if they are viewed as a “peer.” And this not only builds their confidence in the message; it translates directly to more shares. 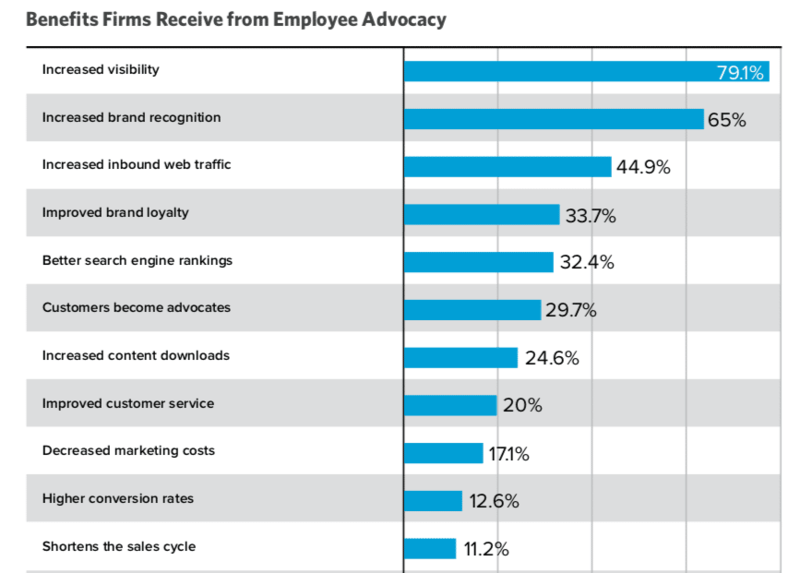 When brands implemented an employee advocacy program into their content strategy, they experienced remarkable results, including a 79% lift in visibility, 45% more web traffic, and increased content downloads. Unfortunately, implementing an authentic employee advocacy program is easier said than done. Most workers will not naturally share content related to their work, and they certainly will not appreciate being forced to do so. 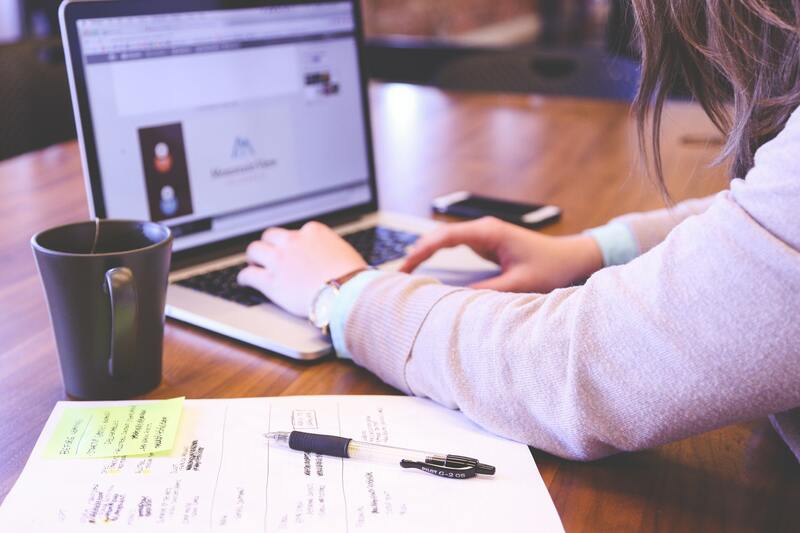 Thankfully, systems like Smarp can make employee advocacy easy and natural by creating internal content hubs to keep employees informed and engaged with what’s going on in the business, as well as the industry as a whole. They can even sign up to receive tailored content that is relevant to their interests to increase their own knowledge and skills, in turn boosting their own thought leadership capabilities. From this system, employees can easily share branded content to their networks to improve their own influence while boosting their company’s social reach. The great news is that implementing an advocacy strategy like this not only increases a brand’s reach and credibility, it benefits the employees as well. One of the trickiest parts of marketing is you are always trying to out-do your past results. You’re in a perpetual state of needing to come up with new and better ideas to keep your campaigns fresh and exciting. However, coming up with brand new content does not always guarantee better performance. Revamping old pieces and turning them into something new is a surefire way to develop and maintain your library of content. 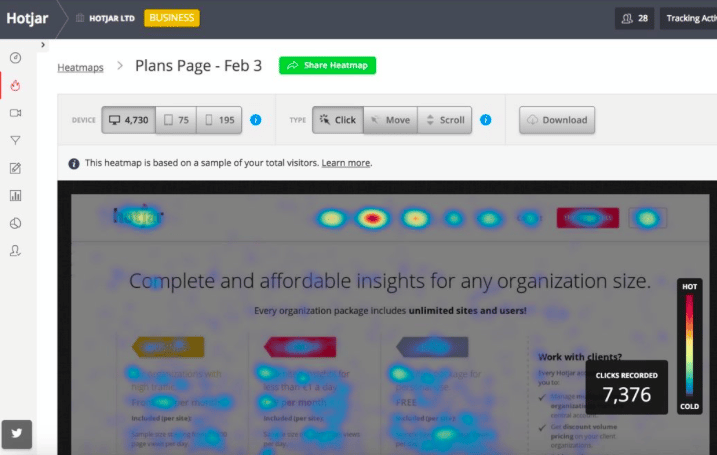 You can see which pieces drove in the best results, whether it be in terms of shares, likes, conversions, or click-through rates. If audiences loved it before, why shouldn’t they love it again after you’ve made some updates? The way to guarantee higher shares with re-purposed content is to transform it into another format that tends to receive high engagement. For example, if you have a blog article that your readers enjoyed in the past, the information can be applied to an infographic, which typically reports higher shares than other types of content on social media. In order to find the content that has worked best in the past, try using a content ROI tool like Hotjar, which measures the time that your audience spends on content. This can give you better insights into the exact pieces of content that your audience engages with thoroughly, rather than just the ones that receive the most likes or clicks. Putting a new spin on old content can give it a second life and can help reach wider audiences who prefer certain formats over others. Marketers that re-purposed their content into something new reported up to 111% increases in organic traffic, and a 76% growth in conversions. If you’ve got some content that performed well in the past, there’s no need to let it just sit there. Re-purposing past pictures, articles, and videos and transforming them into something else can give old content new life and give your audience more opportunities to share. Gaining shares will always be a tough task that never truly ends. By focusing on brand authenticity, your company is communicating that it cares about its audience. Customers trust employees and peers far more than brands themselves, so utilizing the people within a company as brand advocates creates highly trustworthy (and share-worthy) campaigns that can drive in amazing results. And finally, use the content that you already know performs well and give it new life with some re-purposing for a new take on great information. Thanks for the great tips! I’ve always been an especially big advocate of #3. Repurposing content is the best way to win the content wars without driving yourself crazy and losing sleep. I hadn’t thought about the sharability of infographics, though. That’s a great point and I’ll have to keep it in mind. I’m glad to give you some new ideas! 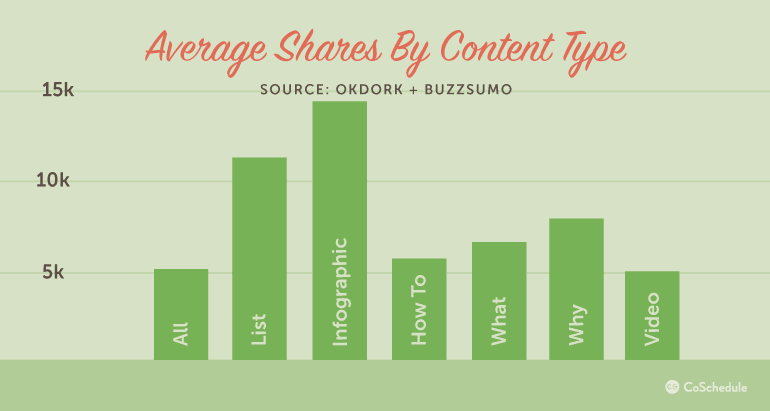 Infographics are a great way to share content.